During exams you have one path, from bed to the library and back again, no diversions – which ultimately means no gymming. But endorphins are your friend during this unholy season of exams and stress, so home workouts should become your new best friend. You can de-stress and clear your head, before, during or after the endless cycle of revision. 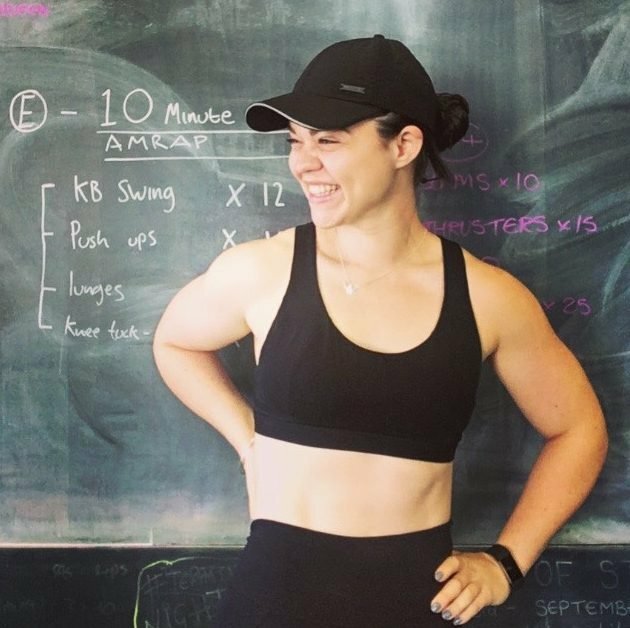 We contacted three PTs who’ve got the whole time management thing sussed and asked them to create some stress-busting home workouts that won’t eat up valuable cramming time or break the bank. Now you can save and smile – aren’t we great. Whether you have five minutes, 15 or 30, we’ve found a way for you to retain your sanity and make it through this month of hell*. All you need are a few bits of workout gear and you’re good to go. *Firsts are not guaranteed – soz. Caitlin, @eclipticfit, smiling wide from those stress-busting endorphins. Any tips for how students can balance exercise and revision? It’s all about setting aside the time in your day. Work it into your diary, whether it’s a half hour circuit or a five-minute blitz. You could do it first thing in the morning to kick start your day in a positive way, use it as a break away from your revision to clear your head or unwind with it to get your body moving after long stretches of sitting at a desk. Put on some music you love, and sweat it out! Why should students use exercise to de-stress? Well, when I exercise it’s the only time that I truly focus on my body, mind and breathing. 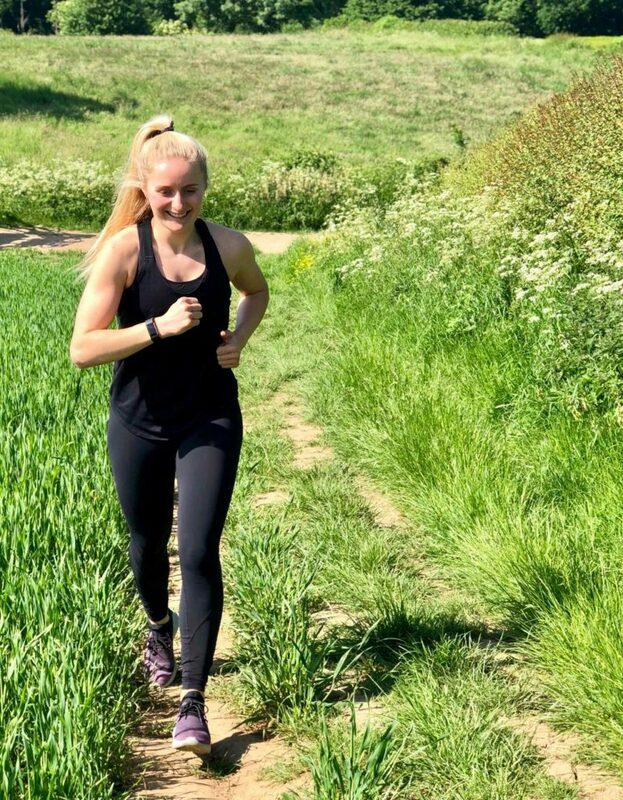 The to-do list that seems to get longer by the minute disappears for an hour or so whilst I focus on what my body needs; whether that’s a sweaty beast-mode circuit or a slower paced stretching session. I also don’t put too much pressure on my training. Some days you may be feeling super strong, and others not. Most importantly, just do it for you. What is your go-to piece of equipment for your home workouts? A kettlebell. You can do so much with one. As well as the classic kettlebell swing, they’re great for single sided work. They’re super easy to store away and are a fantastic addition to your home workout kit. This is the 10-to-1 challenge. You have five minutes to get as close to the one rep round as possible. Starting at 10 reps per exercise, work through each of the exercises without resting in between. Once you’ve completed each exercise for 10 reps, go back to the first exercise, performing nine reps of each. You’ll then complete 8, 7, 6, 5, 4… you get the idea! Put a five-minute timer on and see how far you can get. The next time you do this workout try and get closer to the 1 rep round than you did in your last attempt. You got this. 1. Kettlebell Squats – Take your feet just outside parallel, turning your feet slightly outwards. Make sure your knees track over your toes as you squat, not allowing those knees to cave in as you stand. Keep the kettlebell close to your chest by locking your elbows in, engaging your lats. 2. Mountain Climbers – Keep your core engaged and your hips in line. Drive your knees into your chest. Count one rep as a left and right climb – so you’re effectively doing double if you count every climb. 3. Press Ups – Drop to your knees if a full press up feels out of reach as you move through the rounds. 4. Kettlebell Swings – The key here is to hinge at the hips and drive your hips through to swing the kettlebell. Keep your core tight to avoid hyperextension in your back at the top of the swing. 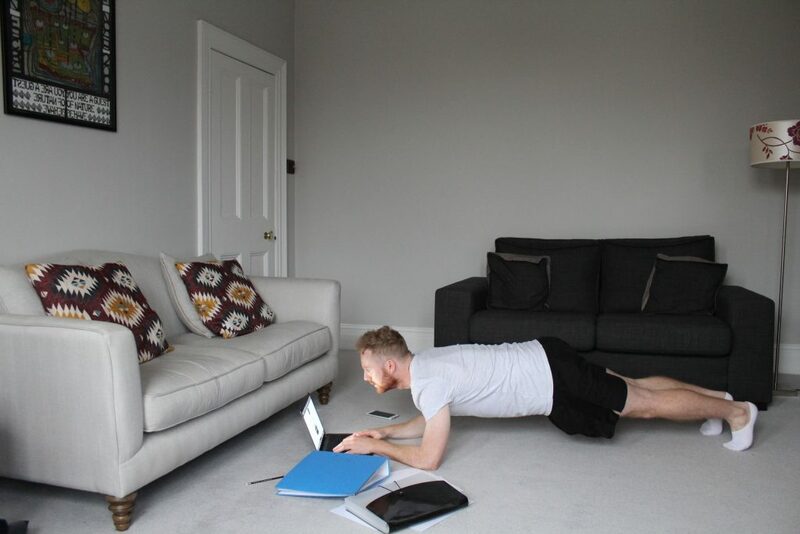 Ben, @benwoodtraining, showing how you can revise and exercise without having to leave the house. What do you recommend for students who don’t have time to go to the gym? Your house is a playground when it comes to exercise. 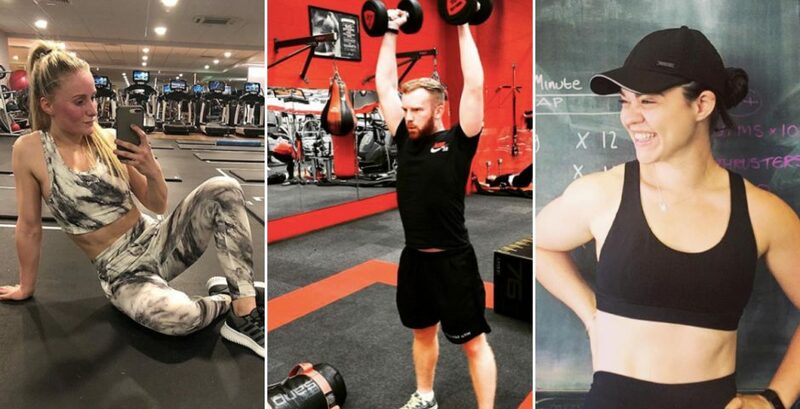 You can use everything like a tabletop, bookcase or even the bare floor to perform exercises – there really is no excuse. Think of it as a gym included in your rent. Why does exercise help people de-stress? Raising the heart rate and stimulating your muscles by performing physical exercise secretes chemical endorphins. Endorphins are what trigger that positive feeling in the body. This is scientifically proven to provide an increase in concentration levels as well as reducing the feeling of stress and tiredness, so they’re perfect for when you’re revising or feeling really stressed about exams. What couldn’t you exercise without? My go-to piece of equipment has to be a simple pair of press up handles. Building a strong press up really helps everyday functional movements like lifting and carrying. It also helps build up your chest and arm muscles to increase muscle definition! Warm up for one minute by jogging on the spot with a 10-second power sprint at the end. The workout itself consists of a circuit of 45-seconds high-intensity training with a 15-second break in between each set. Repeat this three times, with a 60-second rest between each circuit. Keep it intense! You’re only working for 45 seconds at a time, so you need to push yourself as much as possible. Stay strict with the timing and take a 60-second break after each round is completed. If you start finding this too easy or want to build your strength, gradually add weight (via dumbbells or ankle weights) and increase by 2kg every two weeks. Boom, 15-minute home workout blast done! Rachel, @rachelpersonaltraining, smiling through the burn. For students who don’t have time to go anywhere other than home or the library, how can they stay fit? If your goal is to just keep fit in general I would say get outside and go running; it’s free and you can build on your fitness over time, even if that’s just running to the library or back. You could also do interval based workouts in your room just using your own bodyweight, or weights like in my video. I would suggest investing in a couple of dumbbells or kettlebells, and you could split the cost with a housemate if you need to. How do you de-stress with exercise? Exercise is the part of my day that I can dedicate entirely to myself with no disruptions from anything. Personally, there is no better feeling than after a sweaty workout. I really struggled with anxiety and stress at uni and the pressure of exams would often cause my revision to become unproductive because I would panic so much. I found taking a break from revision and doing a workout and raising my heart rate, would entirely change my mindset and help me clear my head ready for the next library stint. What workout gear would you recommend to students? An exercise mat is a good place to start as it makes bodyweight exercises so much comfier. If you can put some money towards equipment, resistance bands are a great way to make your workouts more challenging and they’re really easy to store, even in a tiny uni room. A pair of boxing gloves and pads can also be fun for a cardio based workout and is a good way to exercise with friends. Make sure to spend at least five minutes warming up with some light jogging (on the spot if you’re limited with space) to raise your heart rate and some dynamic stretching to help increase range of motion and prevent any injuries. All the exercises can be adapted depending on your fitness levels. For example, do the press ups on your knees instead or decrease rest time if you’re finding it too easy. The workout consists of 12 exercises, incorporating both cardio and core movements with three rounds in total. For the first round complete each exercise for 45 seconds with a 15-second rest between each exercise. Once all 12 exercises are complete take one-minute rest before repeating the exercises but this time for 30 seconds each. Then take one-minute rest before completing the final round where you complete each exercise for 20 seconds, with a 15-second rest in between.